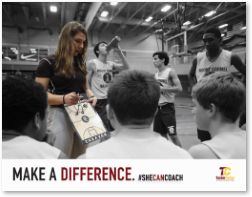 In an effort to increase the number of females in the coaching profession and pipeline, the Tucker Center has created the #SHECANCOACH® project. 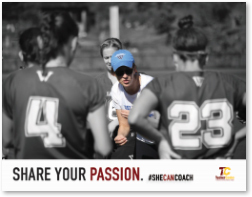 Many women tell us they entered or tried coaching because a coach saw potential and passion and encouraged her to try it. 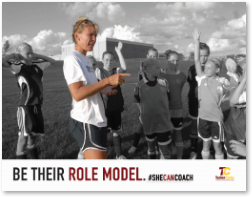 It is that simple—ask and invite young women, especially current or former female athletes, to think about coaching. 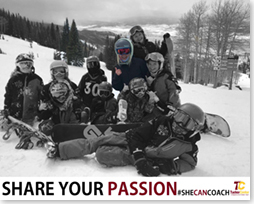 Your athletes have knowledge, experience, and passion for their sport and many want to be role models for other girls and women. 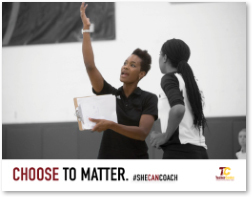 Coaching is a meaningful way to blend passion and purpose. 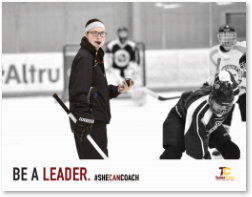 If she can play, #SheCanCoach®! 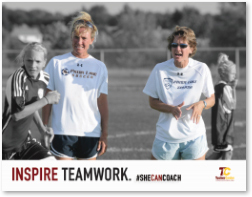 Our #SHECANCOACH® posters were developed from our research. 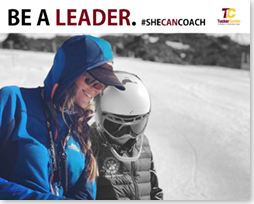 We interviewed women and mother-coaches (see research here, scroll down to Mother-Coach section) to get their ideas on how to get more women and young women involved in coaching. 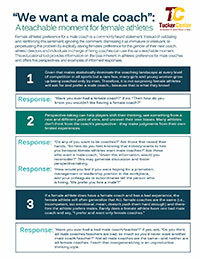 We used their responses to develop the #SHECANCOACH® campaign. 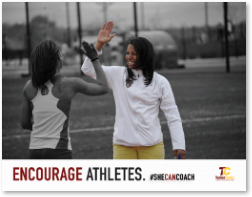 Please download the #SHECANCOACH® flier, make a copy for each of your female athletes, and take five minutes to invite them to think about coaching. Your invitation matters! 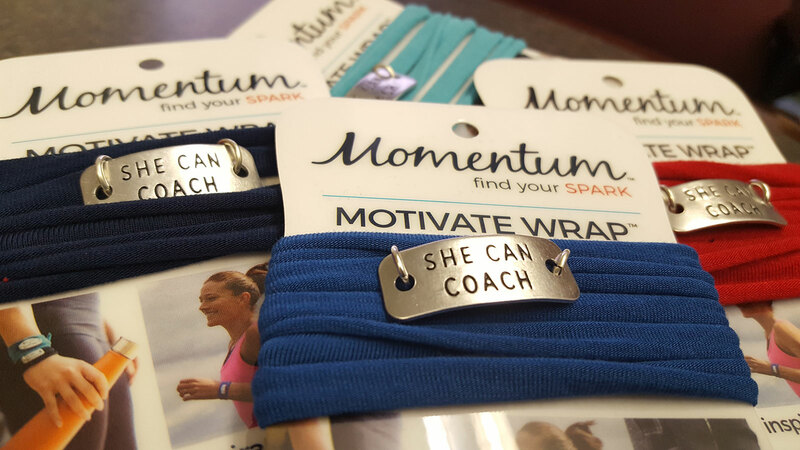 Be part of the #SHECANCOACH® movement by purchasing a #SHECANCOACH® wrist wrap for yourself, your staff or for a current or aspiring female coach in your life. 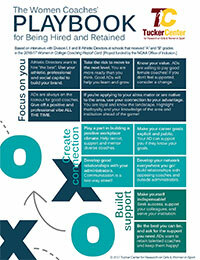 To order, send a check made out to The Tucker Center (in note line: women in sport leadership fund). They are $20 each + $5 shipping for up to 5 wraps, $10 shipping for 5+ . See picture of colors to choose from: maroon, red, pink, grey, yellow, black, navy, royal blue, turquoise, teal. 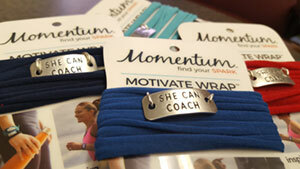 All money goes to the Women and Sport Leadership Fund and supports research for and about women coaches. 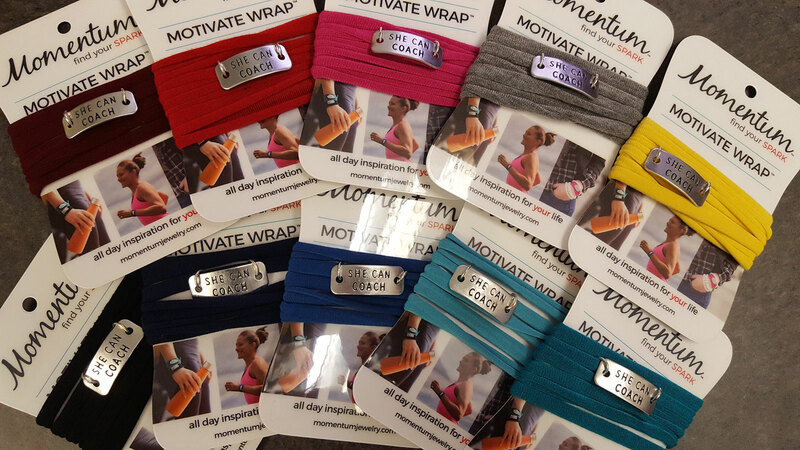 Take a picture of your wrist wrap and tag it #SHECANCOACH® on social media. Join the movement!